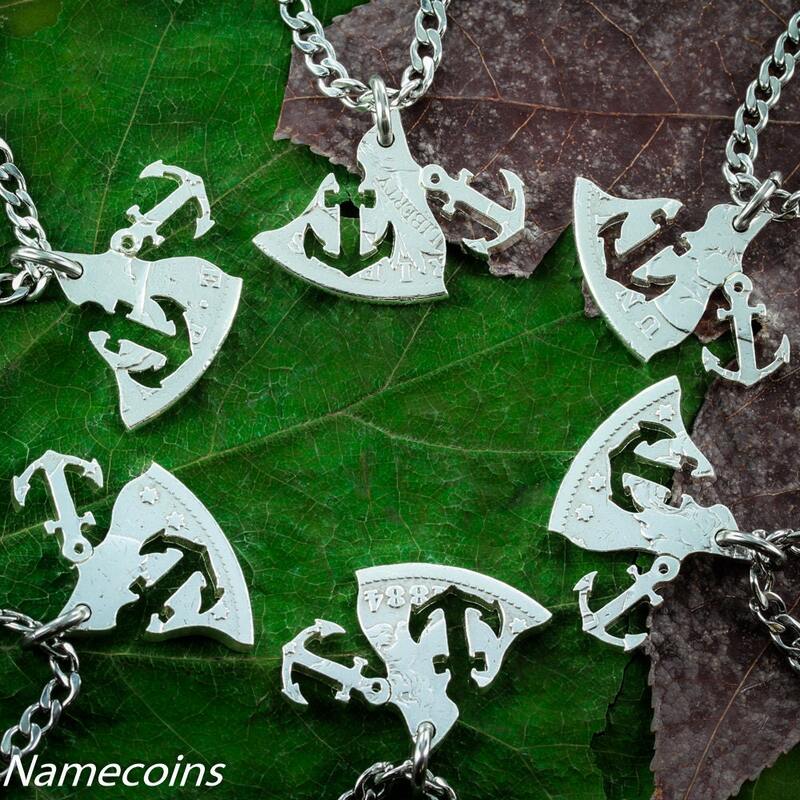 We have hand cut a 6 piece necklace set from a Real Silver Dollar so each piece holds the shape of an anchor and connects together to form a whole. 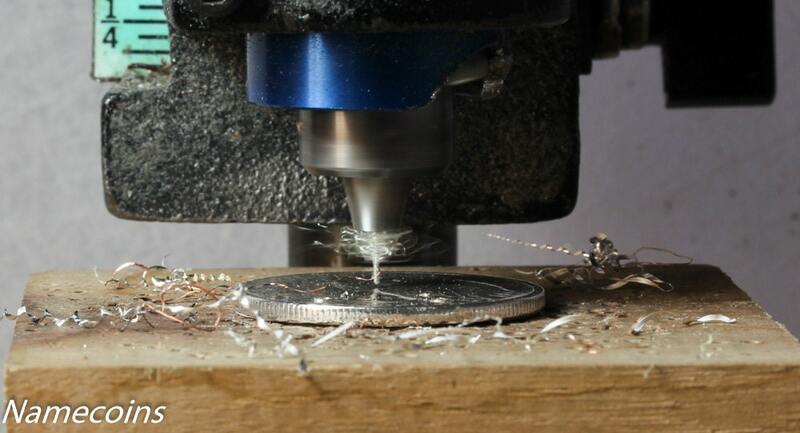 Cutting into large coins like the beautiful Real Silver Dollars takes a lot of work. 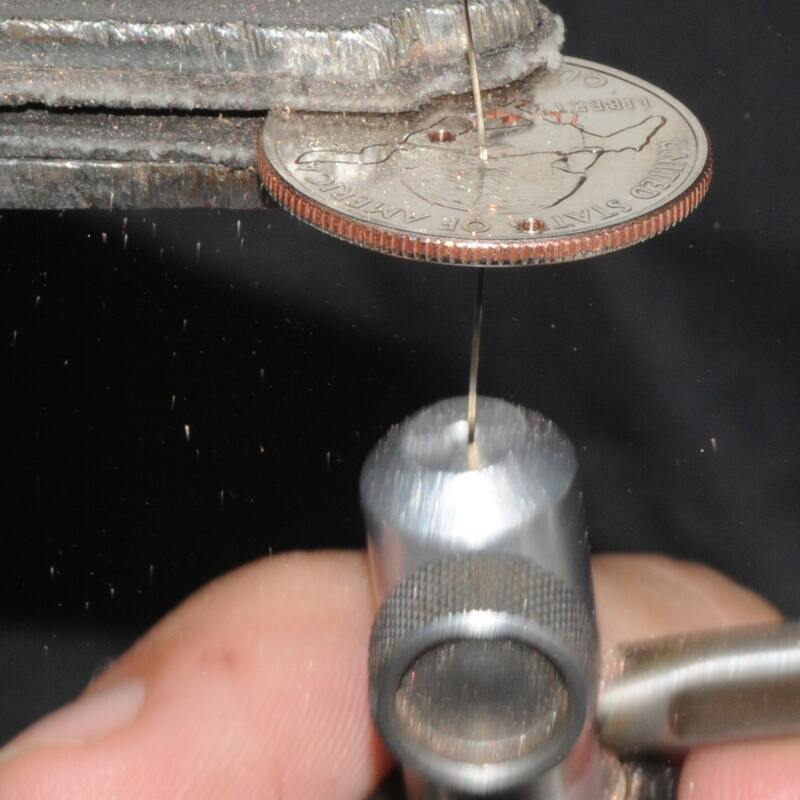 The greater thickness of the Dollars and the greater surface area makes it a much harder project than just cutting from a quarter, but it is worth the effort. 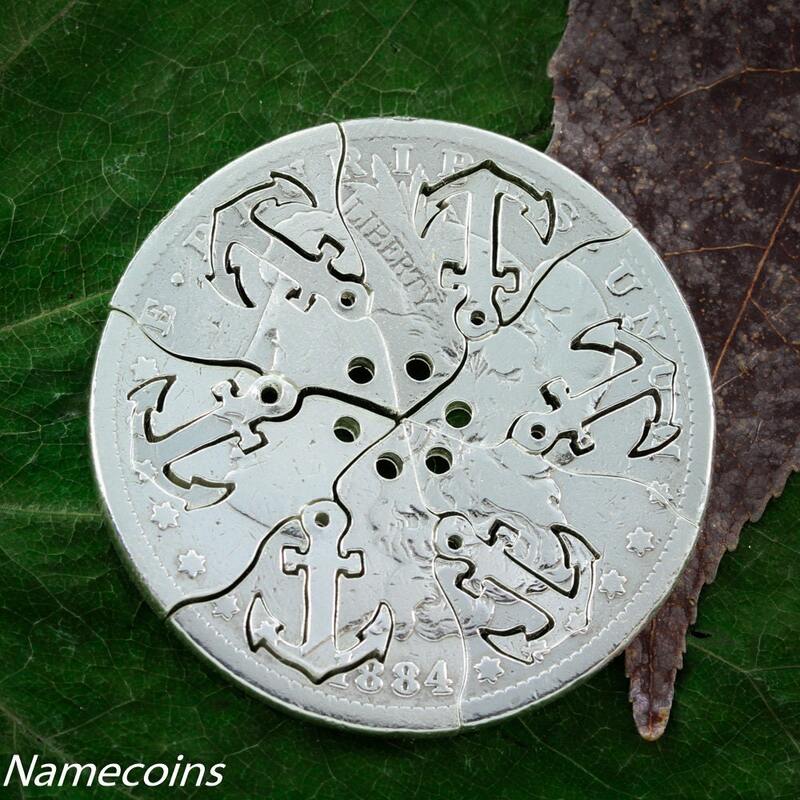 Only on this larger coin size can we fit a 6 piece relationship necklace set.